It seems ironic a strong polar vortex keeps us milder, and it’s a weaker polar vortex which allows the coldest polar air to drop down into the Great Lakes and Midwest. Many in the press gave the public the impression the polar vortex was something new, some term meteorologists recently conjured up. But the polar vortex has always been there, and the term was first introduced in scientific literature in 1853. It is a mainly permanent area of low pressure which girdles the globe in polar regions, with a belt of counterclockwise winds aloft (clockwise in the southern polar region). The colder polar air lies to the north of this belt of westerly winds. 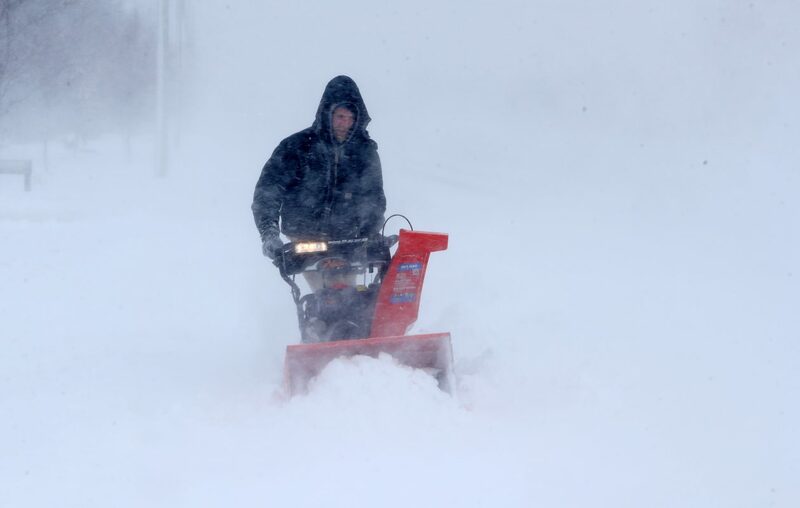 The phrase “strong polar vortex” sounds as though it’s more likely to bring colder weather to places like WNY. The truth is quite the opposite: A strong polar vortex tends to be more compact and closer to the North Pole. Those winds act as a barrier to the transport of polar air southward and keep the frigid air covering a smaller part of the northern hemisphere. A weaker polar vortex tends to buckle in multiple places, sagging southward in some global regions and bulging northward in others. When the polar vortex slows, weakens, and destabilizes, that can allow polar air to take the plunge southward. In this diagram, the strong polar vortex and its effects are seen on the left. The weaker vortex is on the right. 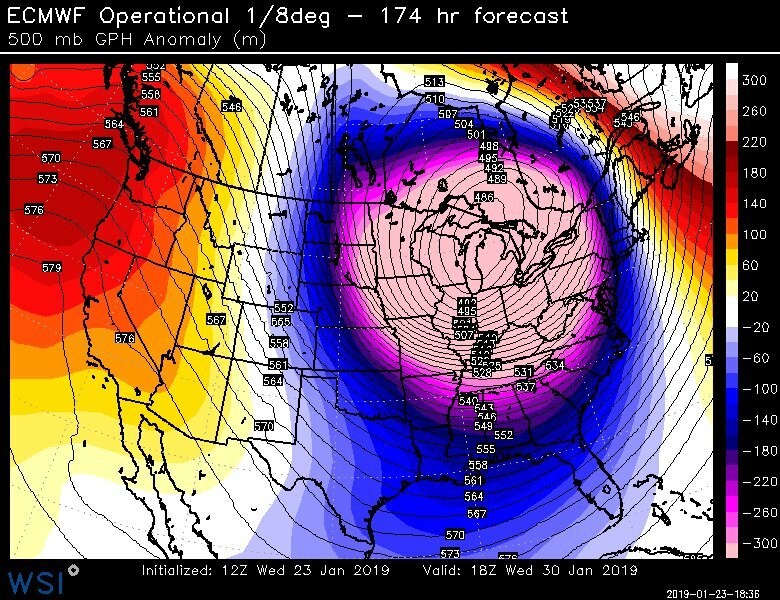 So it’s actually because the strong polar vortex which kept polar air bottled up in polar regions from Dec. 13 to Jan. 8 has weakened and buckled, as forecast weeks in advance, we will have an extraordinarily cold piece of the vortex entering near our neighborhood next week. Here, courtesy of Dr. Michael Ventrice of IBM’s the Weather Company, is the European upper air projection for around Wednesday, Jan. 30. The innermost circle shows the number 486. I’ll just say that is an extraordinarily low upper air pressure number. It signifies the coldest air in the entire northern hemisphere will be over the Great Lakes, not Siberia. That does not happen very often. The oranges and reds over the west coast are the very warm ridge of high pressure stacked up in the atmosphere, helping to force this piece of the vortex to bomb our region. This is a high – make that very high – amplitude setup. Back to our coming cold: this is a map of expected temperature anomalies, departures from normal, for a four-day period. Some meteorologists are naming this depiction “Barney." It does have that look, don’t you think? Actual surface temperatures from this kind of pattern are extreme, although I believe this Wednesday morning experimental GFS output is TOO extreme. Even so, the slightly more conservative "regular" GFS is mighty, mighty cold by the dinner hour next Wednesday. The Canadian GEM holds those coldest temps until early Thursday. The European ECMWF, despite that brutal upper air ensemble, has a bit more mercy next Wednesday, but really lowers the hammer by the following Saturday. As for snowfall, while Lake Erie is at 32 and icing has begun, it’s going to take quite a while before ice cover becomes sufficient to really cut down lake-effect. While I’m not a fan of snow total model output over, say, 10 days, the European has some hefty totals in Western New York with heaviest amounts in the so-called snow belt to the south of the metro area. That implies most snow will be lake-effect and increased by higher terrain. The GFS, experimental GFS and Canadian GEM have less snowfall in total. “But I wanna tell ya,” as Bob Hope used to say, lake-effect snow is simply not something meteorologists want to tackle for totals many days in advance, no matter what global models put out. Lake snow is not a global scale event. However, there is good model agreement a vigorous low pressure storm system will be crossing near the Great Lakes by Tuesday. This storm may bring some widespread moderate snow (and even a few hours of warming) on Tuesday in advance of the polar blast. In the wake of this low, though, will come stronger, bitter cold winds with some potential to bring some big time lake snow and blowing snow, along with especially harsh wind chill. 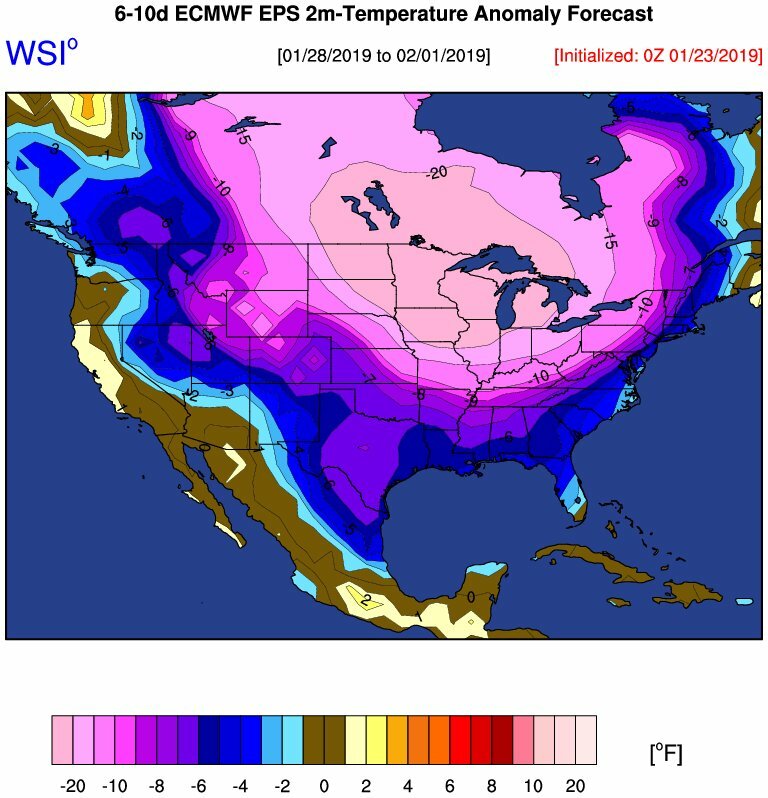 So as not to end this article with an “Abandon hope all ye who enter here” flavor, there are signs of at least a temporary respite in the pattern after the first few days of February. By that time there is no longer a resemblance to Barney.